Every year the Mini gets an overhaul from different fashion designer for the Life Ball, Europe’s largest AIDS charity event. This year Canadian Dean and Dan of Dsquared2 added their touch to the iconic car. The twins have put a great amount of effort to make the Mini Cooper more aggressive. 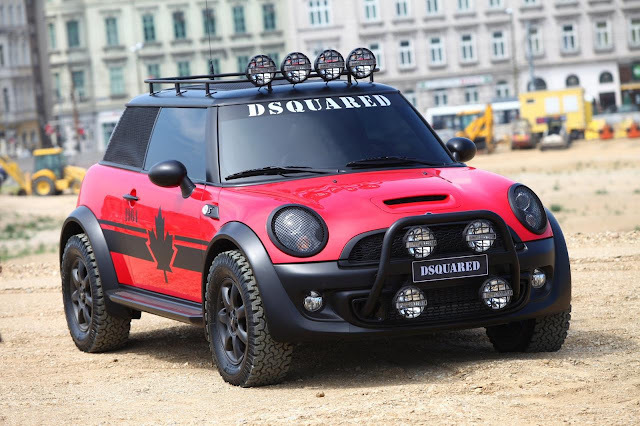 The Mini Cooper Red Mudder has a raised chassis, large front guard, rally-style headlamps, spare tires for tailgate and all terrain tires. 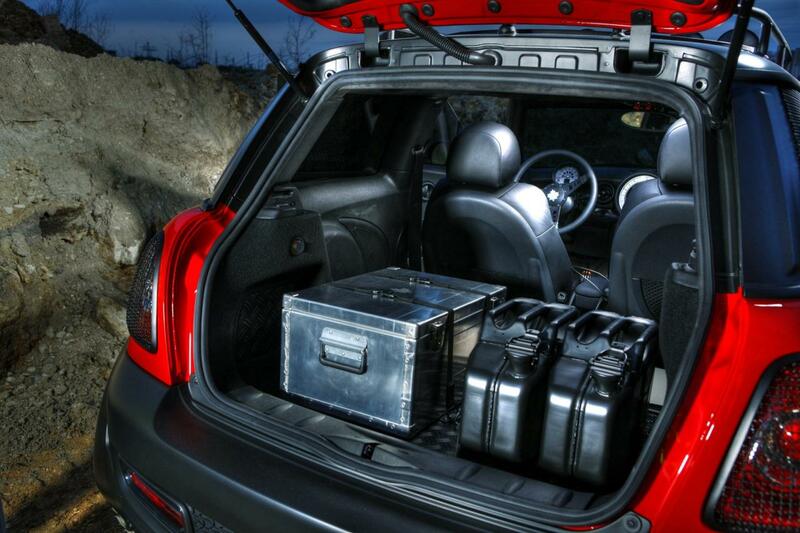 The main motto of redesigning this MINI Cooper S is to ensure that the vehicle is equipped for adventures of all kinds.